Chabad.org’s free “Omer Counter” app makes counting the 49 days between the second night of Passover and Shavuot easier and more meaningful. Perhaps one of the most difficult mitzvahs to fulfill properly is the counting of the Omer, which requires that each sequential day be counted (after nightfall) without missing a day—from the second night of Passover all the way until the eve of Shavuot. In addition to remembering to count on each of 49 consecutive nights, the counter needs to verbalize that night’s count and the corresponding Kabbalistic formula—all that before daybreak, or at least, before sunset the following evening. 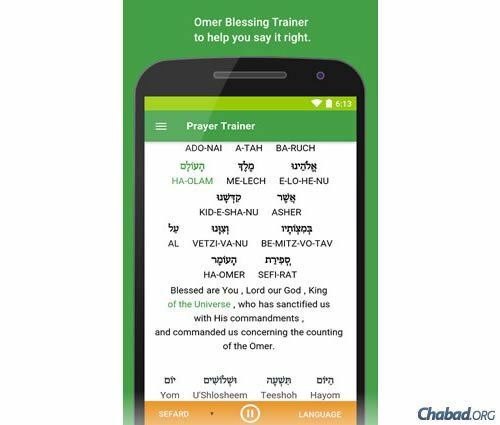 Chabad.org’s app development team has found a novel way to offer assistance with its “Omer Counter” app. In addition to daily reminders, a live counter tells the user how much time remains for counting that day. Highly customizable, the app—with texts in Hebrew and English—tracks the user’s counting record and can then produce the appropriate text for that person (since a person who misses one night may no longer include the special blessing before counting on the subsequent nights that year). 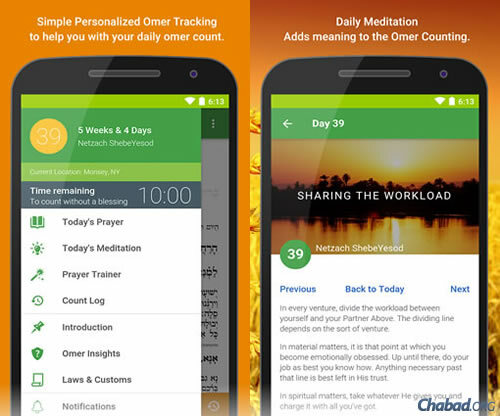 Beyond the mechanics of the daily count, the app also features a specially created “daily meditation” from Rabbi Tzvi Freeman, corresponding to the Kabbalistic mystical confluence of sefirot (emanations) associated with each day, as well as a wealth of insights and other information culled from Chabad.org’s repository of Jewish content. For the novice just foraying into the intricacies of Hebrew reading, the app features a trainer that assists students by highlighting each word as it is chanted, allowing them to familiarize themselves with the Hebrew at their own pace. Supported on mobile devices and tablets, it is ideal for those learning while they are on the move. 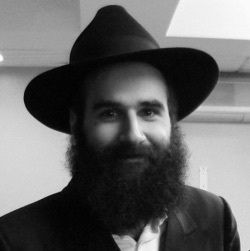 Lead developer Dov Dukes notes that the technology for the trainer is built on Chabad.org’s “Torah Trainer,” which now includes all 54 Torah portions, their Haftarahs, and the blessings recited before and after the readings. “Omer Counter” joins Chabad.org’s Jewish Apps Suite in strategically leveraging Chabad.org’s content and know-how to other platforms. Through the vision and generosity of a group of funders, the “Omer” app joins the “Hayom” app, the “Passover Assistant,” the “Jewish.tv” video app, the “Shabbat Times” app, a JewishKids.org app for children and others—all designed to help bring Jewish wisdom and tools to the fingertips of users. Additional apps are in the planning and developmental stages by an international Chabad.org team. 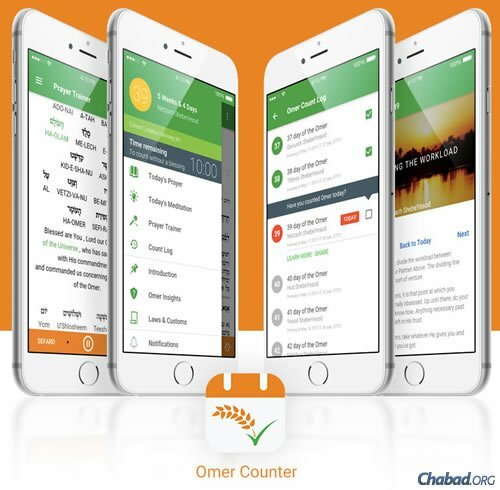 The “Omer Counter” app is available free of charge on Apple’s App Store for iOS devices and Google’s Play Store for Android devices. A live counter tells the user how much time remains for counting that day and sends updated reminders as well. It also features a specially created “daily meditation” corresponding to the Kabbalistic mystical confluence of sefirot (emanations) associated with each day, as well as a wealth of insights and other information culled from Chabad.org’s repository of Jewish content. For the novice just foraying into the intricacies of Hebrew reading, the app features a trainer that assists students by highlighting each word as it is chanted, allowing them to familiarize themselves with the Hebrew at their own pace.